This beach village is somewhat isolated. However, the seas here have excellent waves nearly throughout the year. For this reason most of the visitors to this beach village tend to be Surfers. The eastern half of the beach is rocky compared to the western half. Even so, this is not the best beach for sunbathing. Outside of surfing, the best reason to visit the beach at sunset over the Indian Ocean. The coastal village itself has a lovely rural atmosphere and is a good way of checking out what Bali looked like before the influx of tourists and tourist infrastructure. The best way to experience the village is to stay overnight. 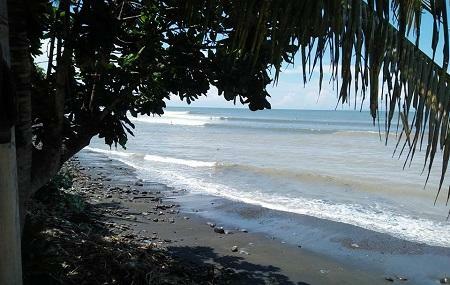 How popular is Medewi Beach? People normally club together Atlas Pearl Farm and Perancak while planning their visit to Medewi Beach.